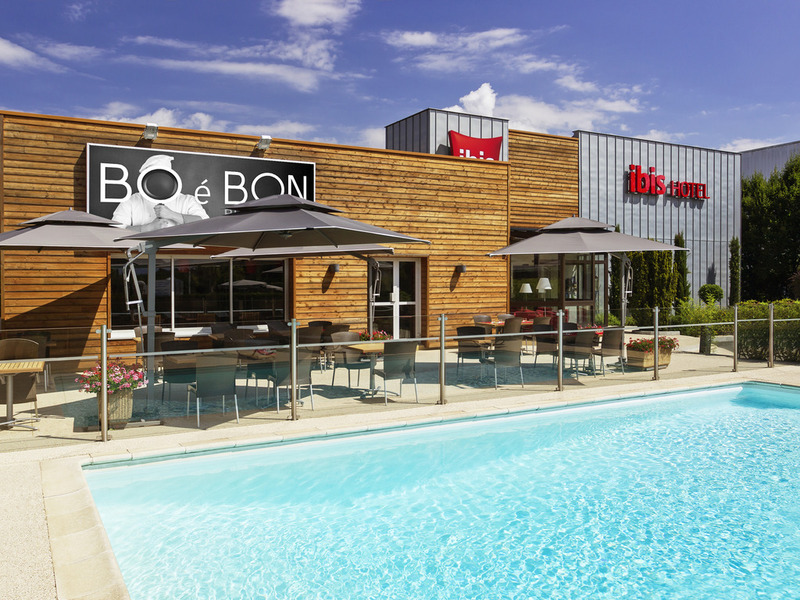 The team at ibis Roanne welcome you to our accessible, modern hotel in a relaxing setting at the heart of Roanne. Try out our Bo é Bon restaurant with its dishes inspired by local produce. The ibis Roanne hotel is 7 min from the city center of Roanne and the Mably and Bonvert business parks. Ideally located at the Roanne south exit and close to the N7 trunk road, the hotel is easily accessible from the A89 (Lyons) and A72 (St Etienne / Cler mont Ferrand) highways. Recently renovated, the hotel boasts 71 air-conditioned rooms, a free private car park, 4 fully equipped meeting rooms, a bar, restaurant with terrace and a swimming pool. WIFI access is free and reception is open round-the-clock. 5 minutes from Lake Villerest and Champlong golf course. 15 minutes from the Côte Roannaise vineyards. Restaurant open for lunch and dinner. Market cuisine inspired by local producers. A team offering round-the-clock service. Free enclosed car park. Conference area for your meetings, cocktail parties or business meals for up to 60 people.